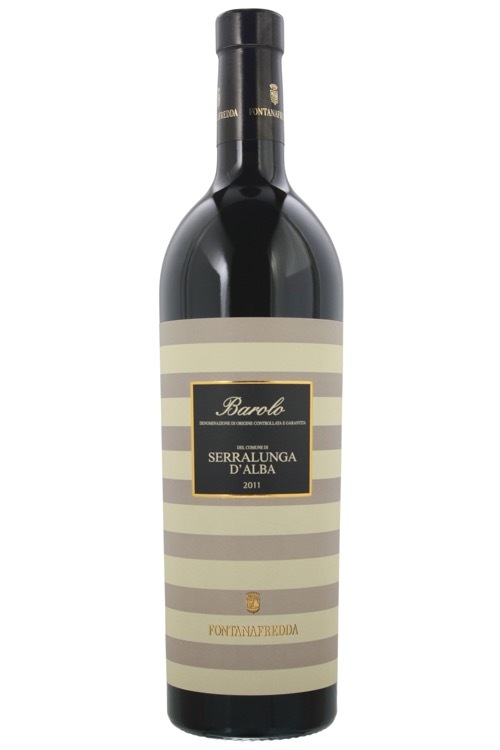 The 2011 Barolo Serralunga d'Alba is a soft and luscious expression with bold tones of dark fruit and dried cherry. The heavy soils of the vineyard have conspired with the warm summer temperatures to produce an opulent and immediate interpretation of Nebbiolo. This wine is all about upfront likability and first impressions. It delivers its entire bounty by the time you take your first sip. It leaves little to the imagination. For this reason, it makes a great option for near-term consumption. Native to Piedmont in north west Italy it makes some of the countries, if not the world's finest and most distinctive wines, with the villages of Barolo and Barbaresco demonstrating the apex of what the grape variety is capable of. Due to it's finiky nature requiring just the right nutrients and the longest growing season, finding vineyard with the right soil and aspect is crucial a factor which partly explains why its accounts for just 3% of the regions production. Wines with Nebbiolo d'Alba DOC on the label are made from grapes grown around the town of Alba. While they don't take on the distinct aromas of tar and coffee attributed Barolo and Barbaresco, the vineyards sandier soils tend to produce wines with delicious soft fruit more appropriate for near term drinking. They also tend to come in at a more wallet appealing price! The grape is still experimented with in a number of different regions across the world, albeit on a small scale, with producers such as Palmina in the central coast of California producing some promising examples. With vines stretching from its most southerly Mediterranean islands all the way to the foothills of the Alps, Italy has, just behind France and Spain, the most land under vines and exports more than any other country. With dozens of regions,and an even greater number of indigenous varieties particular to those regions, understanding all of Italy's wine can be a thoroughly exciting but lifetime long challenge. The most popular regions include; Piedmont, the home of Nebbiolo, Barbera, and Muscato, to name a few; Tuscany, known for Sangiovese, particularly in the Chianti area and the town of Brunello; And thirdly the Veneto, for its Prosecco and Pinot Grigio. Southern Italy's regions; Abruzzo, Campagnia and Puglia, not to forget the islands of Sicily and Sardinia are a great source of food-friendly and very affordable wines. Along with Tuscany, Piedmont is responsible for most of Italy’s greatest wines. Here, Nebbiolo is the king of grapes with the DOCGs of Barolo and Barbaresco supplying a significant amount of the finest examples. Less expensive, but good value Nebbiolos are made within the larger Langhe DOC which Barolo and Barbaresco are both situated in. Barbera and Dolcetto are the region's other important red grapes. Moscato (Muscat) is the most popular white grape, most of which gets used in making Spumante and Frizzante (semi-sparkling) wines, notably those made in and around the town of Asti. Meanwhile, the region's most popular still white wines are made from Cortese and Arneis. Cortese are mostly made in the province of Alessandria and go by the name Gavi, while Arneis is mainly cultivated in Roero, just north west of Alba.